I always see people posting on Facebook about their escape room date night or girls night puzzle room. 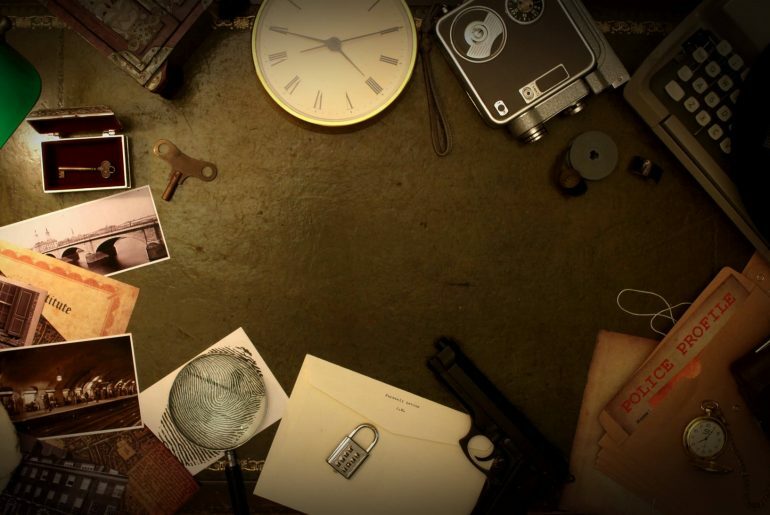 As someone who loves mysteries and solving puzzles, this has been on my radar for years! So, when Ninja Escape invited us to experience their kid-friendly “Hack Attack” Seattle escape room, we jumped at the opportunity! 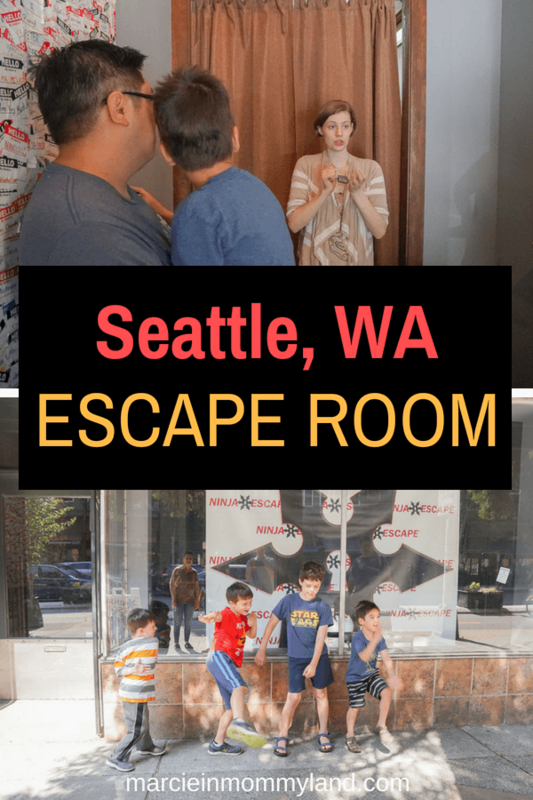 Ninja Escape has two Seattle escape room locations: Belltown and Fremont. We visited their Belltown location on 2nd Ave. They have a door directly into their ground floor space (across the street from Chili & Sesame Korean Kitchen.) There’s street parking available. Since we had a private escape room, I wanted to go with another family so it wasn’t just the 4 of us attempting to solve this mission. So, I invited a family from my son’s preschool. That means for this mission, we had (4) adults, (4) kids ages 4-11 and (1) 21 month old. We arrived about 20 minutes before our scheduled time, which was perfect. We had to fill out waivers for everyone in our party, including kids. 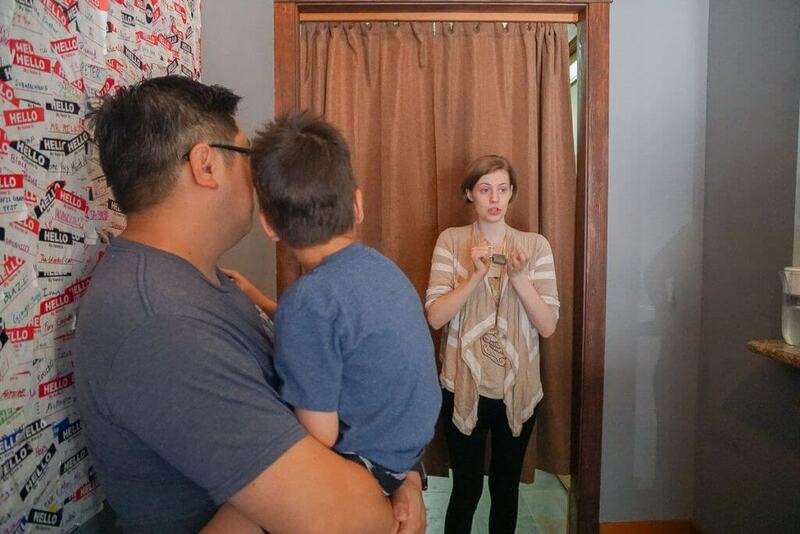 Then, a staff member went over the basic rules of this Seattle escape room. They were all pretty straight-forward: Don’t leave the room once the game has started, no photos, etc. So, I’m sworn to secrecy and cannot tell you any of the plot. Well, I can tell you that it has to do with The Kraken and you have to look for clues and solve a series of mysteries to escape. Oh, and the air conditioner is just an air conditioner. The room itself was fascinating! It had an old-timey vibe and it felt like we were either in a movie or video game. There were tons of details and interesting props! 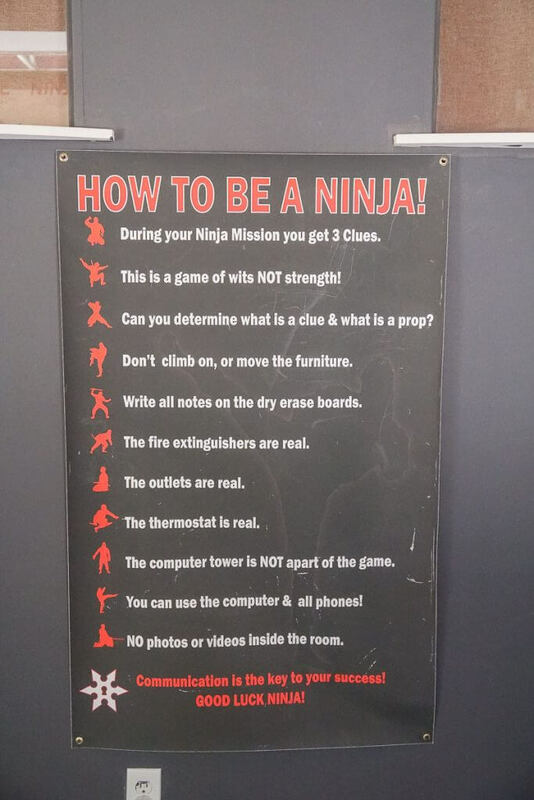 The Ninja Escape experience was fairly well organized. 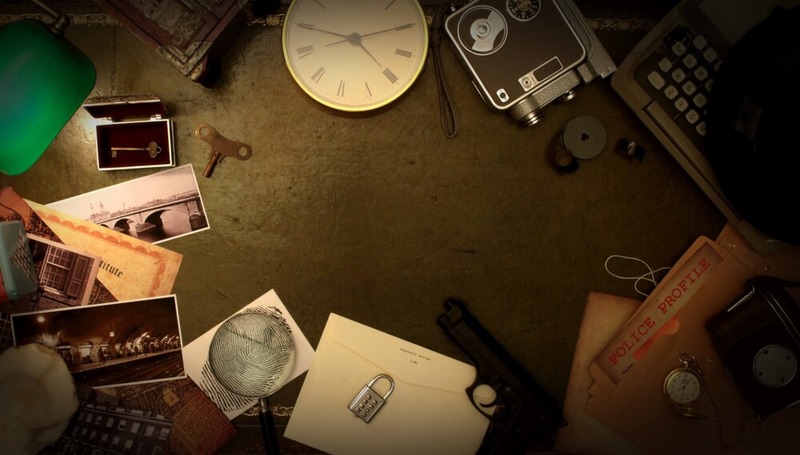 I liked the thorough instructions about what to expect when we entered the escape room, how to ask for clues, and the full backstory of our mission. We also got guidance when we were working in the wrong direction and positive enforcement when we were on the right track! As a Mom with little kids, I appreciated that we weren’t actually locked in the room. One of the kids had to use the restroom during the game, and I’m glad he could run out for a minute to avoid an accident. 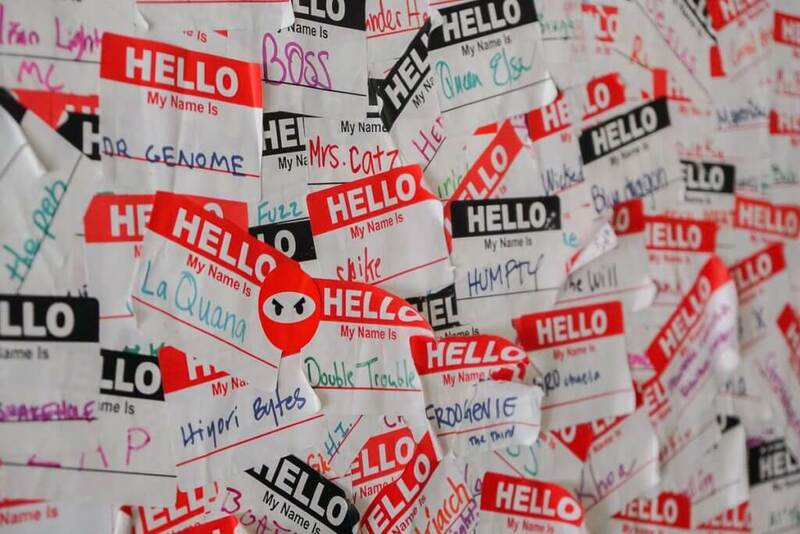 I loved that this Seattle puzzle room was all about collaboration. It was fun to see the kids working together while searching for clues and for the parents to put their heads together to decipher instructions. It had been awhile since I really had to work with adults on a project, so that was pretty exciting! There were some really cool surprises during the escape room mission that impressed both the kids and the adults! One of them blew our mind, but again, I’m sworn to secrecy! And there was a fun photo op at the end. Since we weren’t allowed to take photos in the room itself, this was the next best thing! Plus, it was nice to commemorate the fact that we gave it a solid try! The puzzle itself was pretty difficult. And it totally should be! But, I went in thinking that since this was a “family friendly” escape room, the kids could take the lead on solving the puzzles. However, the kids were SLOW and there’s a time limit. Once we realized just how complex this escape room was, we had wasted too much time trying to work the puzzles with the kids to actually win. It would have been nice to have 90 minutes (instead of 60) so they kids could have gotten a lot more hands-on opportunities and tried to solve a few problems on their own. And since I had my toddler with me, I spent a majority of the time either carrying him, feeding him a snack, or consoling him. At one point, he “cleaned” our whiteboard full of clues. Even our 4 year olds needed a lot of attention. That’s what made it extra hard: all the distractions! 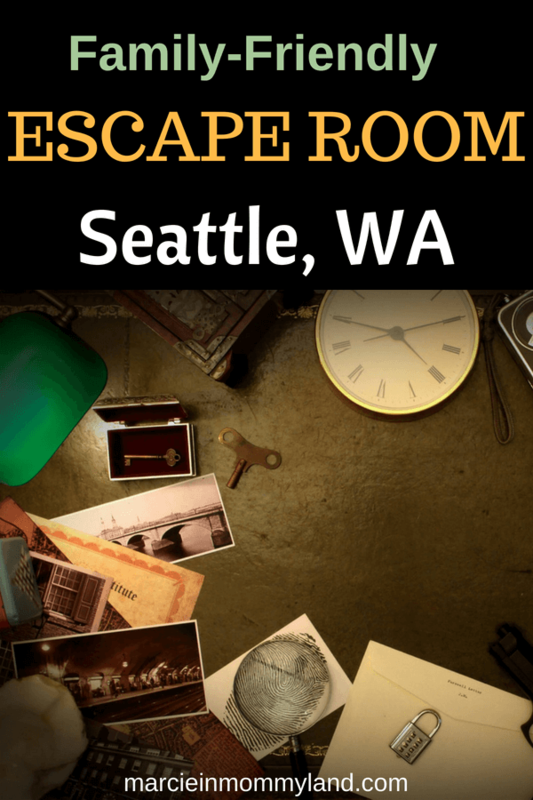 My biggest tip for this escape room in Seattle, WA is simple: have fun! It’s an unusual experience and it’s meant to be entertaining. Don’t stress out! 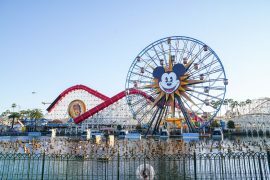 Because every person needs to fill out a waiver, use the restroom, and hear the instructions, you’ll want to get there early so this doesn’t cut into your puzzle-solving time. Take a moment at the beginning to designate either a point person or a way of organizing clues. If you know everyone in your team, this will probably be easy. But, if you are joining a team with strangers, ask about skill sets. If you are bring little ones, try to hit the restroom before the game starts. But, if there’s a “potty emergency” you aren’t actually locked in and can run to the restroom at any time. Since the rooms are meant to be ransacked looking for clues, you little ones can really try to open/close drawers and search for clues, too. In fact, toddlers have a special skill for finding things! Only 20% of teams actually win. I tell you this not to discourage you, but to mentally prepare that you probably won’t win. And that you should find solace in the fact that 80% of teams also don’t win. 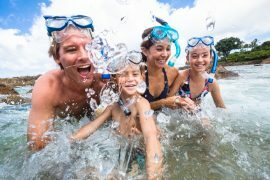 Since the whole experience is non-stop adventure, adrenaline, and a bit chaotic, head to a bar or restaurant so you can continue talking about it. It’s a great team-building activity! 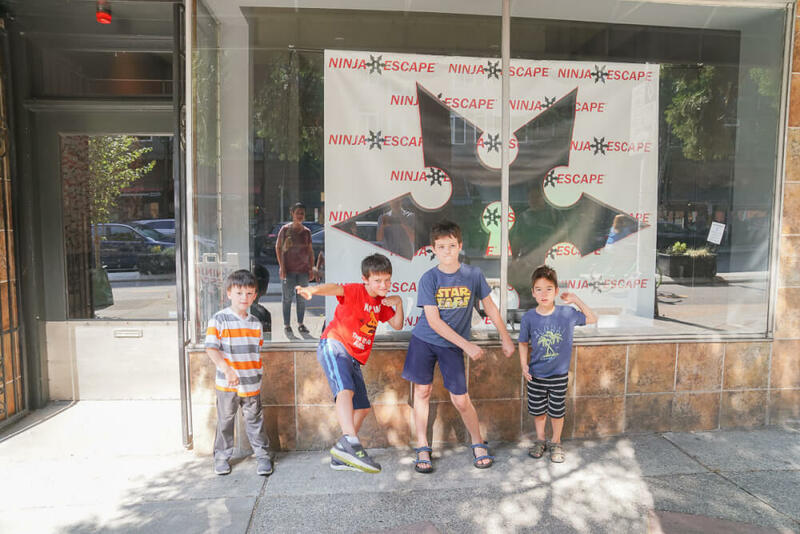 If you have older kids, tweens or teens, why not host a birthday party at Ninja Escape? Instead of sitting around playing video games or texting, kids are forced to interact with each other, use their problem solving skills, and get a little out of their comfort zone. Plus, for added fun, encourage everyone to dress like a ninja! It might even help kids get into character quicker and possibly become more stealthy! Thanks Ninja Escape for hosting us. All opinions are my own.